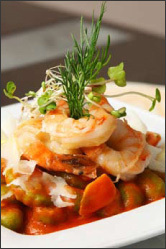 At Jean-Jacques' fine cuisine is our passion. 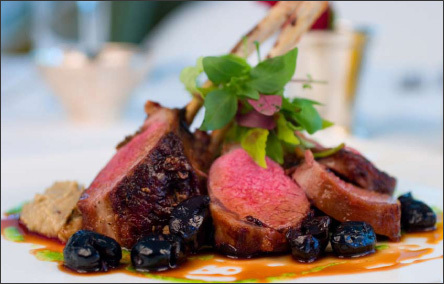 We place the utmost pride in combining epicurean excellence with flawless execution. Award-winning chef and proprietor, Jean-Jacques Gabrillargues, creates unforgettable menus that keep guests delighted from sumptuous appetizers to mouth watering desserts. Our innovative team of craftsmen-chefs artfully prepare traditional French cuisine and a wide range of American, Continental, and International flavors to satisfy diverse tastes and cultural backgrounds. With each creation tailored to your taste, Jean-Jacques' presents perfection on every plate. "Our party came off flawlessly and the food was spectacular! Everyone was so impressed with the food, both the exquisite presentation and the delicious flavors. I thank you for such a lovely event!" We always make every effort to accommodate your menu requests, preferences and dietary restrictions. Many Gluten-Free offerings are available.